Edinburgh Pest Control are a professional pest control company in Edinburgh able to deal with your pest control problems for rats, mice, moles, flies, insects, ants, cockroaches, pigeons, pest birds and wasp nest removal whether you have business or house pests. With over fifteen years experience in the pest control industry in Edinburgh you can be assured we will solve your pest problems. Edinburgh Pest Control provide a rapid response to pest problems throughout the Edinburgh area and across the city centre. 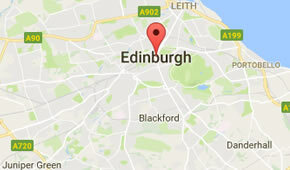 Why Choose Us For Pest Control In The Edinburgh Area? 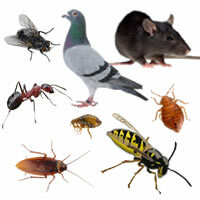 Edinburgh Pest Control offer a complete solution to domestic or commercial pest problems. We will quickly control pest problems caused by rats, mice, moles, ants, cockroaches, pigeons, birds, rabbits, flies, bed bugs and wasps nests removed. Edinburgh Pest Control have a wealth of expertise gained from over fifteen years working in the pest control industry in Edinburgh. Our pest control technicians will eradicate pest problems safely, efficiently and in a discreet manner. With the technical expertise to identify solutions based on our knowledge of pest behavioural patterns, their infestation rates and the likely recurrence levels. We will recommend and install tailored pest control treatments and pest prevention programmes that effectively deal with the problems that arise and help you comply with current Health and Safety legislation. We are fully insured, are open 7 days a week and provide free no obligation quotes on 0131 278 0899. We offer one off call outs and regular contracts for domestic and commercial premises such as bakeries, care homes, equine centres, farms, hotels, private estates, public houses, restaurants and schools. With the technical expertise to identify solutions based on our knowledge of pest behavioural patterns, their infestation rates and the likely recurrence levels. We will recommend and install tailored pest control treatments and pest prevention programmes that effectively deal with the problems that arise and help you comply with current Health and Safety legislation. During April until early June, the queen wasp will leave hibernation and begin building a brand new wasps nest in a new location. 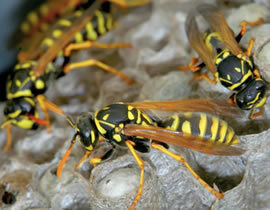 The queen wasps will often build the new wasps nest in roof voids wall cavities or in outbuildings. During June July and August they will continue to expand their wasp nests and by September the nests could have thousands of wasps in it. Armadale, Balerno, Barnton, Bathgate, Bathgate, Bilston, Bo'ness, Bonnyrigg, Broxburn, Broxburn, Bruntsfield, Cameron Toll, Canongate, Cockenzie, Colinton, Comely Bank, Corstorphine, Craigentinny, Craigleith, Craigmillar, Cramond, Currie, Dalkeith, Danderhall, Dean Village, Duddingston, Dunbar, East Linton, East Lothian, Edinburgh, Fairmilehead, Fauldhouse, Firth of Forth, Fountainbridge, Gilmerton, Gorebridge, Gorgie, Grange, Granton, Gullane, Gyle, Haddington, Haymarket Station, Heriot, Holyrood Park, Humbie, Innerleithen, Juniper Green, Kirkliston, Kirknewton, Lasswade, Leith, Liberton, Linlithgow, Livingston, Loanhead, Longstone, Marchmont, Mayfield, Mid Calder, Moredun, Morningside, Mortonhall, Mountcastle, Murrayfield, Musselburgh, New Town, Newbridge, Newhaven, Newington, Newtongrange, Niddrie,, North Middleton, Northfield, Old Town, Ormiston, Oxgangs, Pathhead, Peebles, Pencaitland, Penicuik, Polton, Port Seton, Portobello, Prestonpans, Pumpherston, Ratho, Restalrig, Rosewell, Roslin, Scotland, Sighthill, Slateford, South Queensferry, St. James Centre, Stenhouse, Stockbridge, Stoneyburn, Tollcross, Tranent, Walkerburn, Wallyford, West Calder, West Linton, West Lothian, Wester Hailes, Whitburn, Whitecraig, Winchburgh. Call 0131 278 0899 for details of our pest control solutions and 7 Day call out service.